We have been based in Colorado since 2002. A lot has changed in 15 years. Denver is no longer a flyover city when it comes to its culinary offerings. Slow Food International took notice of Denver’s progressive culinary scene and held their Slow Food Nations event in downtown Denver in July of this year. 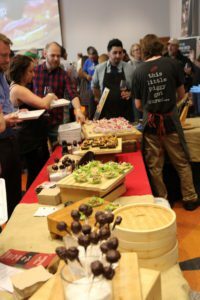 Cochon 555 Denver — March 2017, 5 Stars-Highly recommended! Colorado foodies have been elated that Denver has been an annual stopover for the Cochon 555 National tour for the last several years. This year’s event was held at the Curtis Hotel in downtown Denver. The ballroom and its outdoor terrace provided a perfect venue for showcasing 1,500 pounds of heritage-breed pork raised on family farms. Cochon 555 features 5 chefs, 5 winemakers, and 5 heritage pigs. More recently, the event has added spirits and an expanded auction, including Heritage pork that is broken down during a butchering demonstration. Representing the Berkshire breed of pig raised by Mountain Primal Meat Company, the 2017 winner was Chef Will Nolan of Eight K at the Viceroy Snowmass. This event is one of the top annual foodie events in Denver. 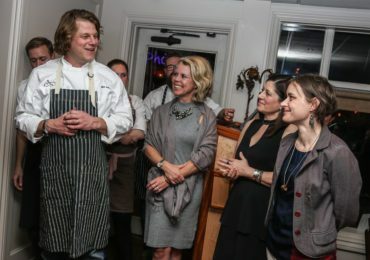 A sister event called Heritage Fire is also done in June in Snowmass around the time of the Aspen Food and Wine Classic. Save the dates! IL Posto Denver — 5 Stars-Highly recommended! 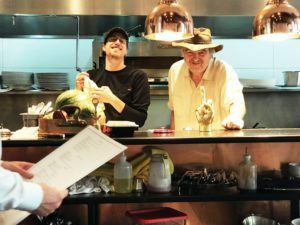 After 10 years at his original spot on 17th street, Milanese born Chef Andrea Frizzi made a bold move and brought his successful restaurant to Denver’s revitalized RiNo area. 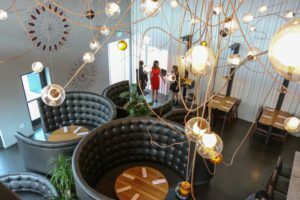 His new space has doubled the original capacity with a hip Milan-esque look, complete with an eye-catching, spectacular octopus-like series of chandeliers handmade in Murano, a beautiful bar, mezzanine and outdoor patio space ideal for Denver’s mild and sunny days. The cuisine is original and slanted toward Northern Italy, using the freshest local and imported ingredients. Favorite dishes include tagliere, calamari stuffed with anchovy, homemade pappardelle with Berkshire pork ragu and risotto. Jovial and attitude-free Sommelier Maxwell Koepke has created a well-thought-out selection of wines to pair with the cuisine. The list is 100% Italian, broken down by regions. Open Monday-Saturday for lunch and dinner. Located down the block from Il Posto in the Denver Central Market is Il Posto’s sister restaurant Vero. It’s Chef Andrea’s take on Neapolitan cuisine. 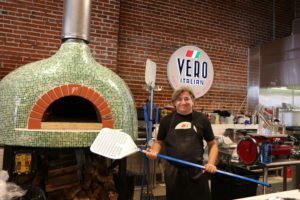 Vero features fresh homemade pizza and pasta dishes, plus an Italian marketplace where you can buy many imported ingredients. Its exquisitely mosaic-tiled oven is made from Vesuvian soil. Pizzas take just two minutes to cook in this 800° degree oven. You can order food to eat communal style in the DCM’s communal-style grand hall or grab and go! Highly-acclaimed, French-trained Chef Radek Cerny is no stranger to Denver foodies. He has taken over the former IL Posto space on 17th Avenue and transformed the spot into a popular French restaurant. Chef Radek dazzles diners with his epic French cuisine while cooking in full view, wearing his signature cowboy hat. There is no shortage of flames flaring up and incredible smells radiating from the kitchen! Couple that with an impressive wine selection and impeccable service and you are in store for an amazing dining experience. Reservations for dinner are strongly advised. Lunch service is the best-valued lunch in Denver, with most entrées priced at under $20! il Porcellino Salumi — Highly recommended for meat lovers! 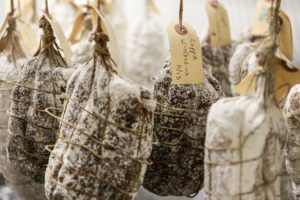 If you are a fan of artisan-quality, house-cured heritage meats, il Porcellino Salumi will quickly become your must-stop place for salumi and charcuterie. 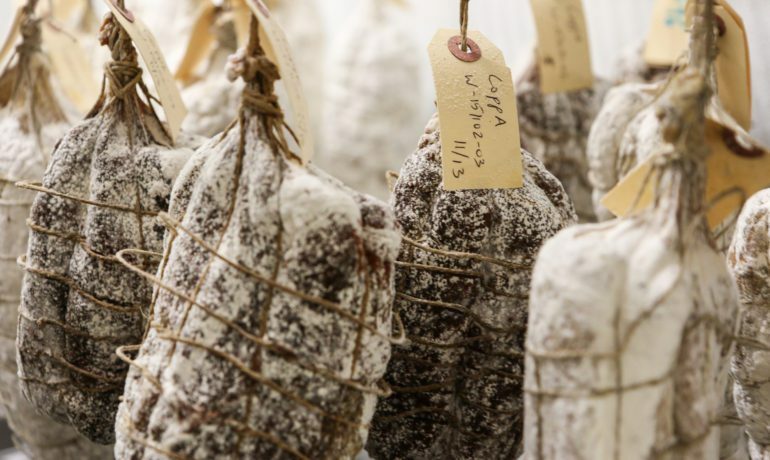 Popular products include bison pastrami, lamb prosciutto, pork rilettes, and beef and pork fermented summer sausage. Early this year they won national acclaim for their smoked head cheese and coppa! They offer a wide range of hard-to-get, prepackaged gourmet products, plus a deli where you can order generously portioned sandwiches. 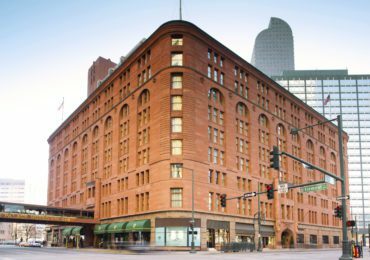 Denver’s Brown Palace Is Still Going Strong After 125 Years!